Musicals by Benjamin and O’Keefe excite Broadway. 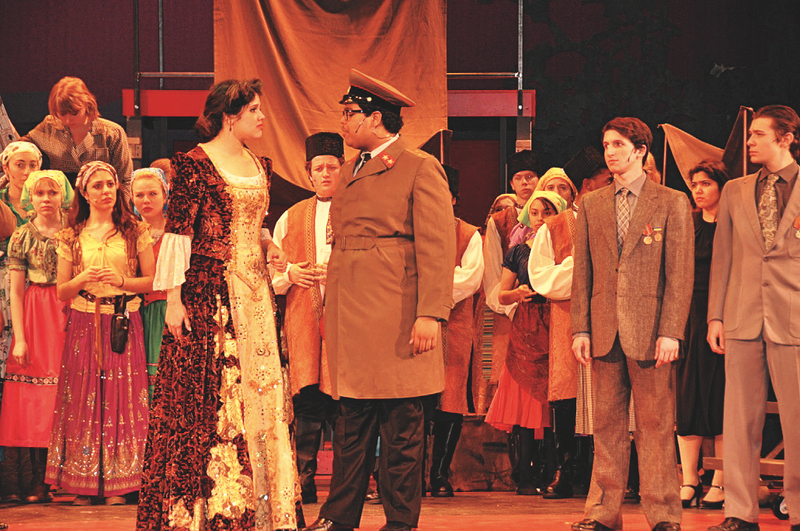 A scene from Benjamin and O’Keefe’s improbable musical Life of the Party, set in the Stalin­­ist USSR of 1953. They both laugh. 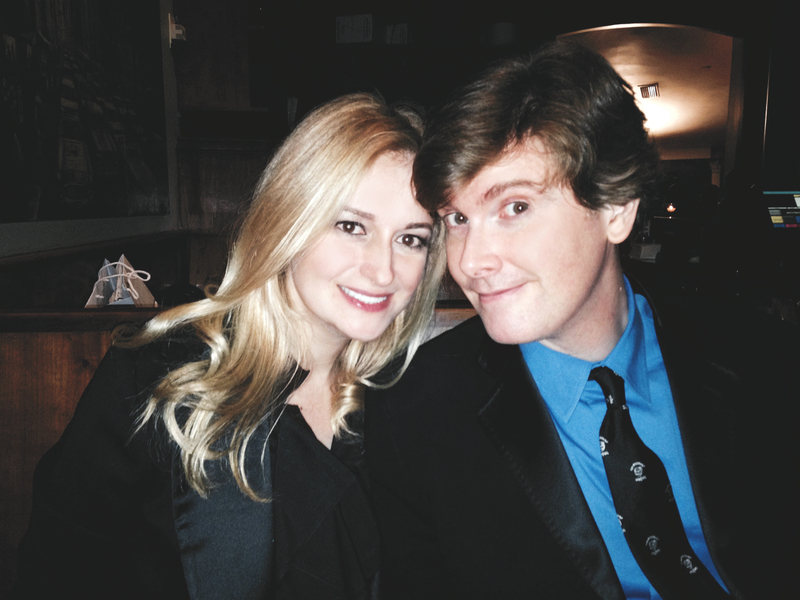 Partners in art and life (married in 2001) since they met at Harvard during auditions for the improv group On Thin Ice, Benjamin ’93 and O’Keefe ’91 have gone from writing Hasty Pudding shows (1993’s Romancing the Throne) to a coveted Broadway niche as musical composers and playwrights. They are on a short list of those who can reliably deliver accessible, clever, high-energy (and sometimes high-decibel) productions. “We like to write fast-moving shows in which the plot changes during the songs,” says O’Keefe. “We don’t feed you the clues about how you’re supposed to feel,” Benjamin says. “Catch up with us. Come on the ride with us.” Their biggest success to date is the sprightly Legally Blonde, the musical version of the 2001 Reese Witherspoon film. Their production opened in 2007, ran for 595 performances on Broadway (and thousands more worldwide), and earned Benjamin and O’Keefe a Tony nomination for best original score. With Kevin Murphy, O’Keefe wrote the musical Heathers, based on the 1988 film. It premiered off-Broadway this April and earned its authors a Drama Desk Awards nomination for outstanding music. Benjamin was busy working with Tina Fey at the same time on a musical version of Fey’s 2004 film Mean Girls. 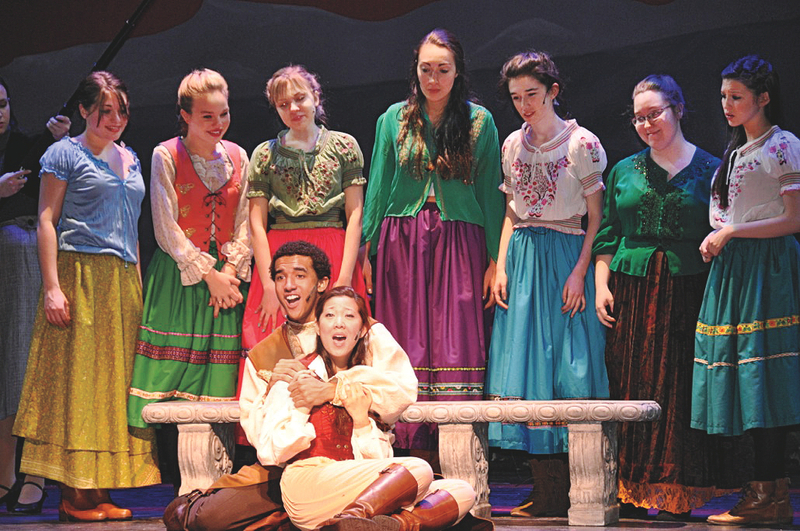 “Our competing, terrifying, high-school musicals,” she says. In July the couple mounted a cabaret show, The Songs of Nell Benjamin and/or Laurence O’Keefe, at Manhattan’s 54 Below supper club.